It looked a little strange after I put the car on the lift. Seems like there should be another piece connected to the ends of the front sway Bar. Am I missing anything? Yes. Everything about that is wrong. 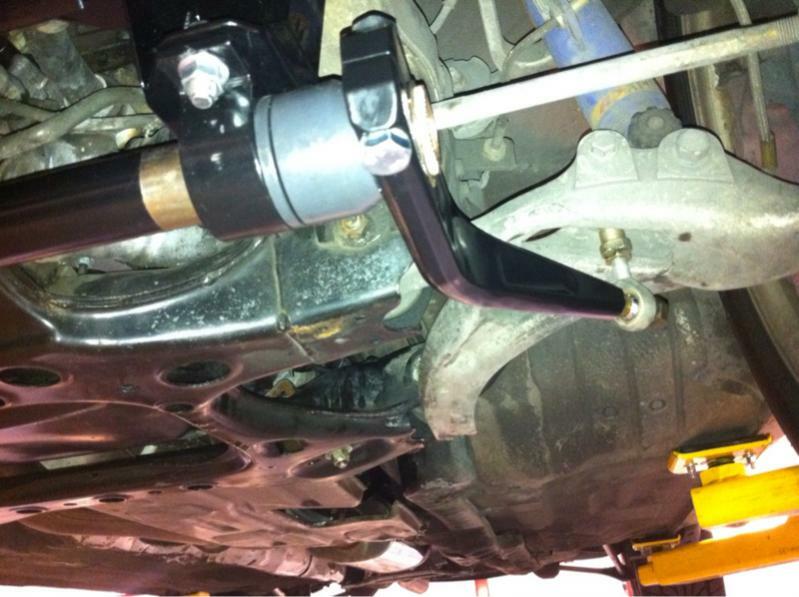 The second bolt on the lower control arm next to the bolt attaching the damper is where the end link should attach. You effectively have no roll bar. Sad to say that you are missing the arm and connecting link. To me, the stock mounts look bent, have to think the assembly took an impact. And that line/mark in your plastic cover leading to the area where parts are missing, looks kind of suspicious? What did you hit? Would that explain the sloppy feeling on the highway? I feel like there's a little too much play in the wheel during the first bits of turning. Car tends to slightly waddle also at highway speeds. The previous owner had some very low springs along with some blown shocks. I'm assuming this damage is from the previous owner. I'm to get to fixing! I have never paid attention to the angles while the car is on its wheels but the car looks really low to me based solely on the angle of the lower control arm and the tie rods. But I may easily be wrong. Your car has more roll on the front end than most other cars, I bet. I'd even bet it oversteers like a Formula D car. Everything I see in that pic is fractal incorrectness. Basically, I guaranty that your car drives like crap. It is in your cars best interest to trickle some, if not just dump, money into everything that keeps the wheels from kicking the bodywork off. The fact that an RX-7, let alone any sports car, has been driving around with a roll bar in that condition serves as a giant red flag as to the attitude of the previous owner. Dismissing this advise would be a red flag in regards to your attitude concerning that car. Also, tackle that rust before it becomes a real problem. Is the end of the sway bar that's sticking out from the bushing splined? Can you take a picture of the other side or does it look the same? I also spot a racing beat sway bar reinforcement bar in there.. This makes sense now. The previous owner had after market shocks that was held in place by 1 bolt. I assumed the factory shock was held in place by 2 bolts. What is the name of the part that screws to the 2nd bolt of the control arm? 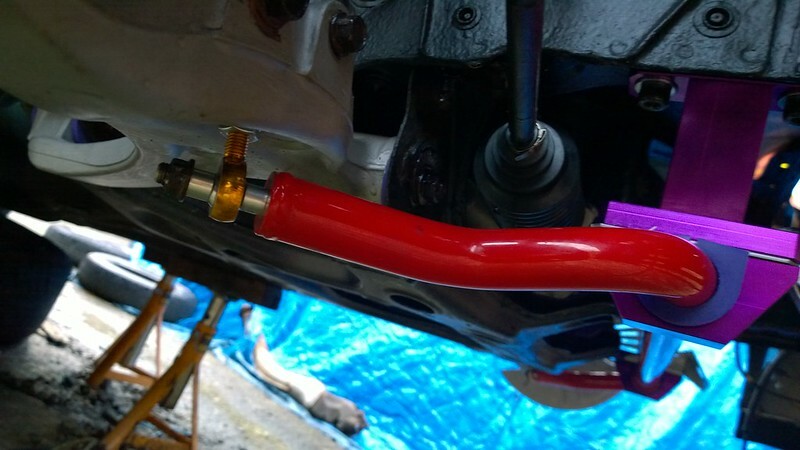 I'm assuming that is that part that connects to the sway bar (if the sway bar was one piece). 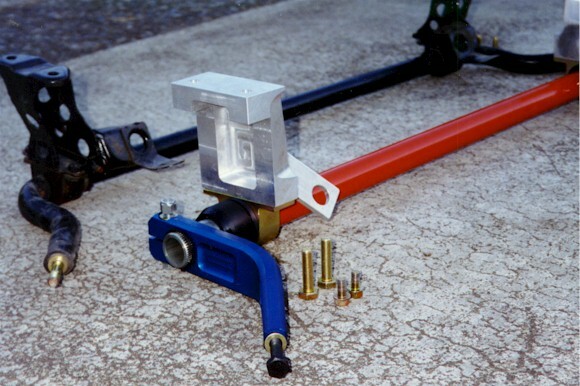 The sway bar end link attaches to the inboard control arm bolt. Lord of Mercy but that is one hosed up front suspension! One has to wonder what went thru the previous owner's mind? Was it apathy, ignorance...what? FWIW, looks like you also have a RB sway-bar mount brace. At one time someone put some care into the front end. I would recommend breaking out the FSM, and going over all suspension points (front & rear) of this car. Is the bit of wood something your jacking on, or do you actually have a piece of wood for a sway bar? 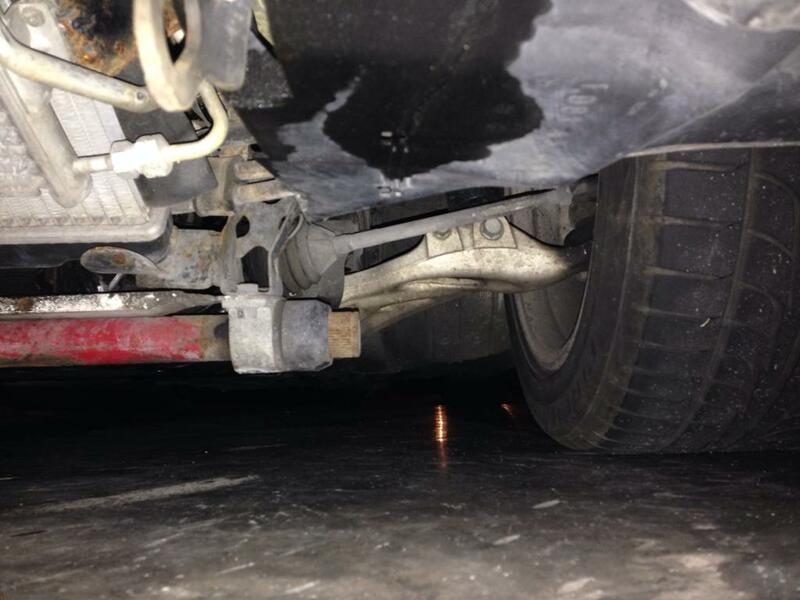 Has my rear sway bar's structural integrity been compromised?